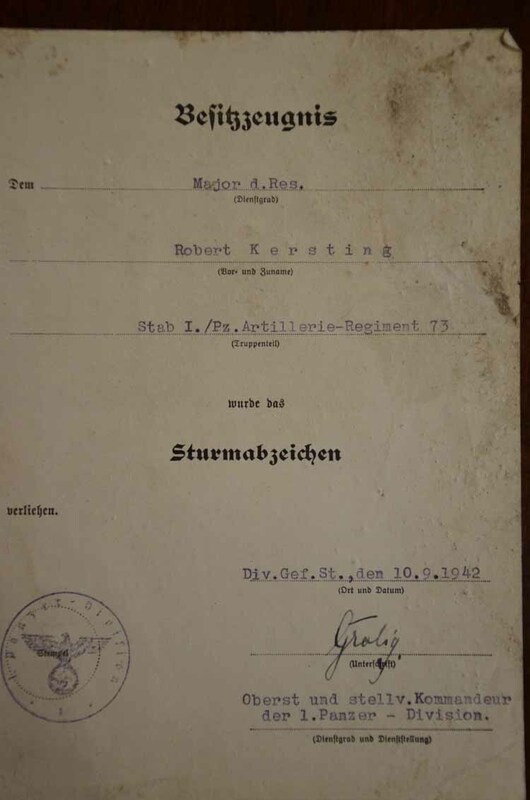 Document grouping to MAJOR Robert KERSTING who served in the Stab I./Panzer Artillerie Rgt 73 of the 1 Panzer Division. 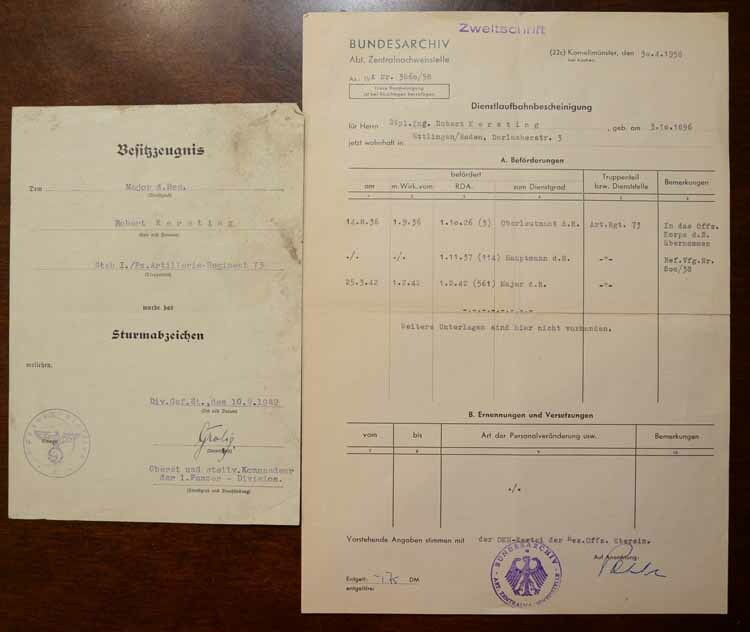 Comes with General Assault Badge award document with orig. signature stellv. Kdr. 1. Pz Div. Kdr. 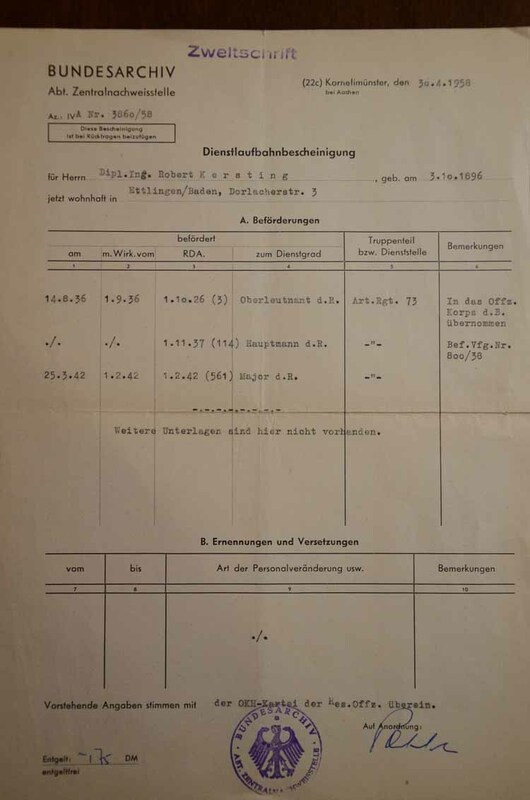 Oberst Oswin GROLIG - rare signature as he was only in command of the division for appx. 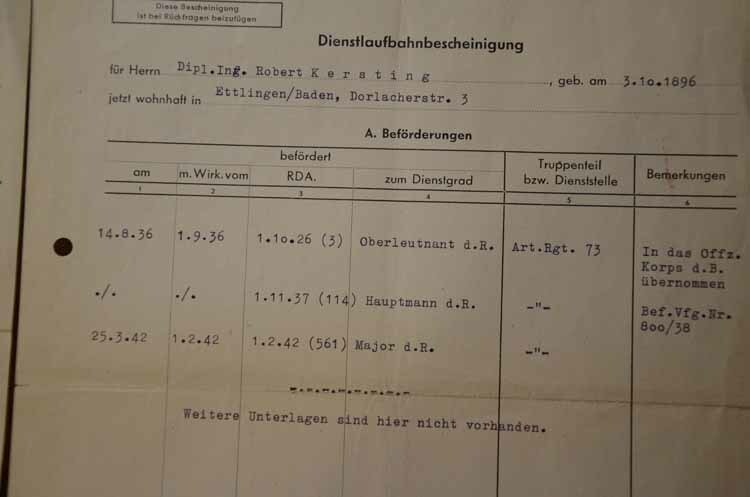 2 months, also comes with official Bundesarchiv listing if his promotions and assignments.